The RPI has a highly qualified team of experts. The institute benefits from a very broad spectrum of the available expertise, which includes radiation protection, nuclear physics and applied mathematics, chemistry and engineering, industrial and occupational hygiene, radiation biology, toxicology and medicine, environmental sciences, nuclear and environmental law sciences. 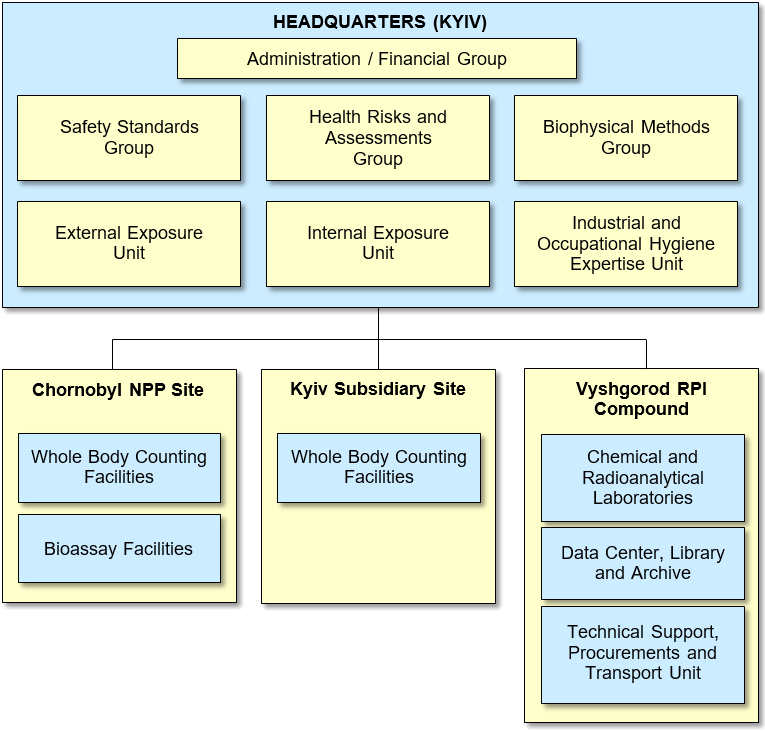 Key RPI staff members have a unique many years’ experience of the previous work in the Department of Nuclear Safety and Security of the IAEA Headquarters in Vienna, work at the Soviet’s nuclear weapon production facilities, participation in post-Chornobyl remediation projects and in the ongoing long-term occupational safety project for activities of the European Bank for Reconstruction and Development (EBRD) at the Chornobyl NPP sites, experience of drafting of the core Ukrainian radiation protection legislation and regulation.